As mentioned in a previous post (see blog post Face Swap - 1) I am creating a face swap installation. Within that blog post I stated that there were three steps that needed to be completed in order to create the installation. The first was creating a live face detection fed. I have begun to start this task and have found an Open CV liabary on github by someone called atduskgreg. Within this Open CV library there is was an example piece of code named face detection. This piece of code is the bases of my project. This is because the code uses face detection technology to detect faces within a photo. There is however one issue with the face detection and that is because it works on detecting typical features of the face such as the nose, mouth and the eyes if anything obstructs these feature, such as glasses then it does not detect the face. 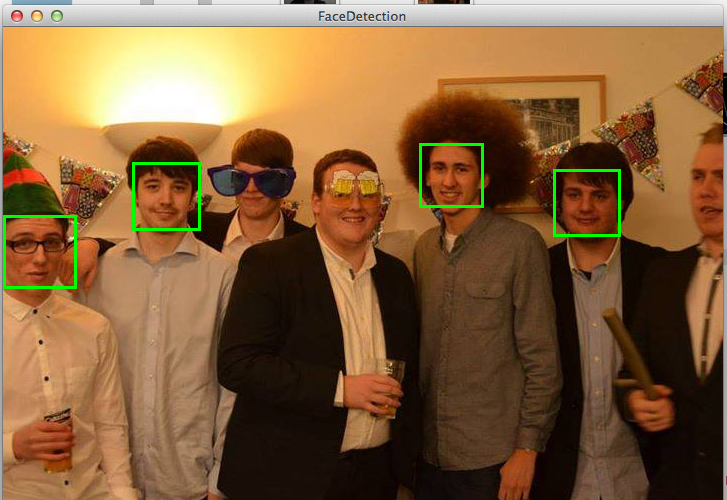 The above image shows the face detection working on a picture. Although I have stated that I want the installation to detect faces in real time and not in pictures, this is a good start to the project as I have the library and the code in order to detect the faces. This means that I can now move forward with the project and begin to find ways to transfer this code from picture detection to real time camera detection. Atduskgreg, 2014. 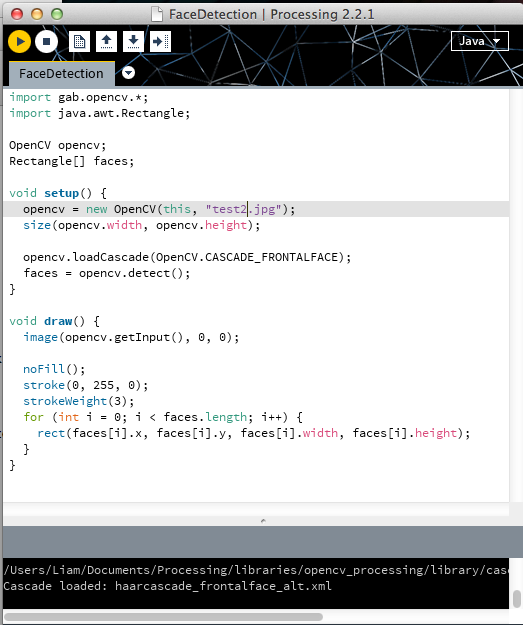 Atduskgreg/OpenCV-Processing. GitHub, Available from: https://github.com/atduskgreg/opencv-processing [Accessed 26 November 2014].